2. 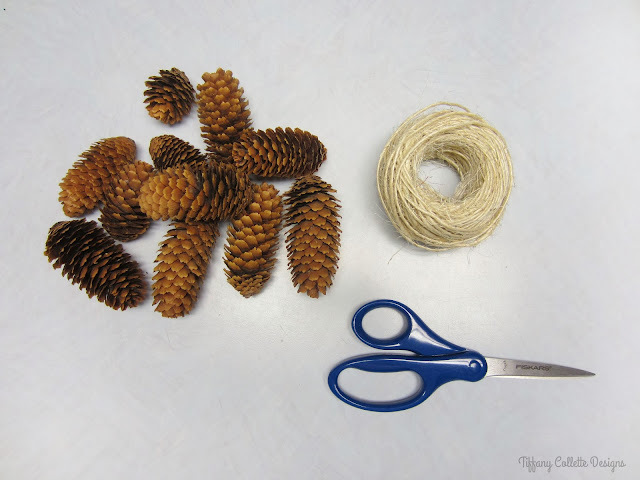 Take a pinecone and tie a knot around the top area. 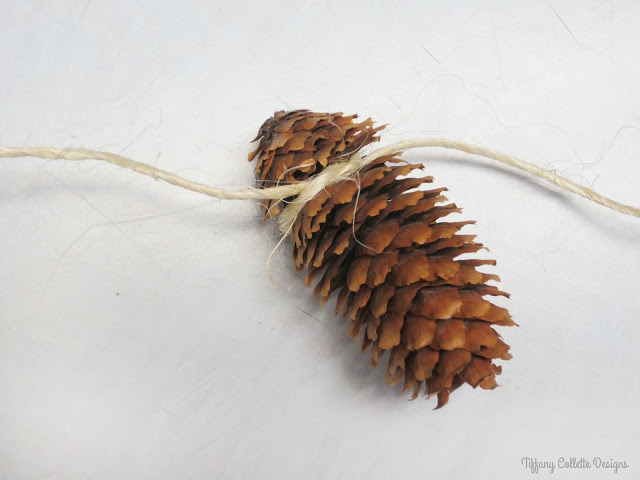 I tried double-knotting it, but it just looked bulky and it’s fine with just one tight knot. I understand twine’s vary, so do what you feel is best. 3. 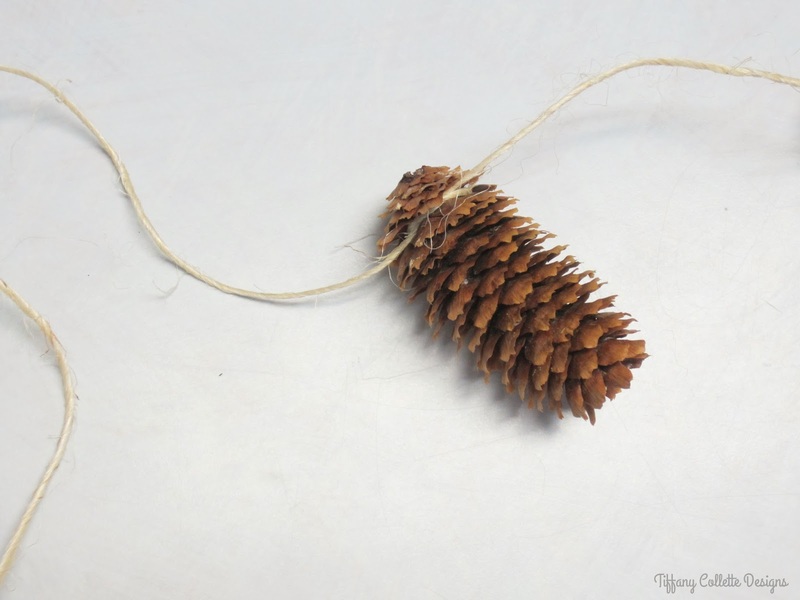 Move down a few inches and tie on another pinecone. 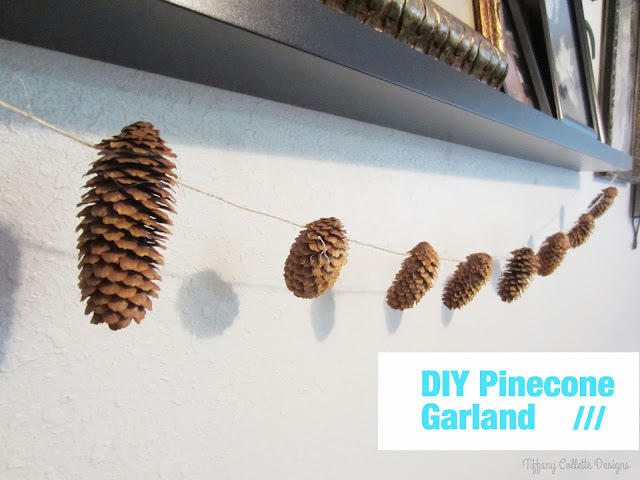 Keep adding pinecones until you get the desired amount of cones on. Leave room on the outer strands to use as fasting or taping onto your shelf, mantel, or other type of surface you fancy. 4. And you’re done! It may take a few practices to get the tying to work in your favor, but you’ll get the hang of it and have a system going. I was surprised at how nicely the pinecones hid the twine so it looks like they were glued on or something. I really enjoyed how quick and cheap this project was and I love how it ties in the rustic theme. 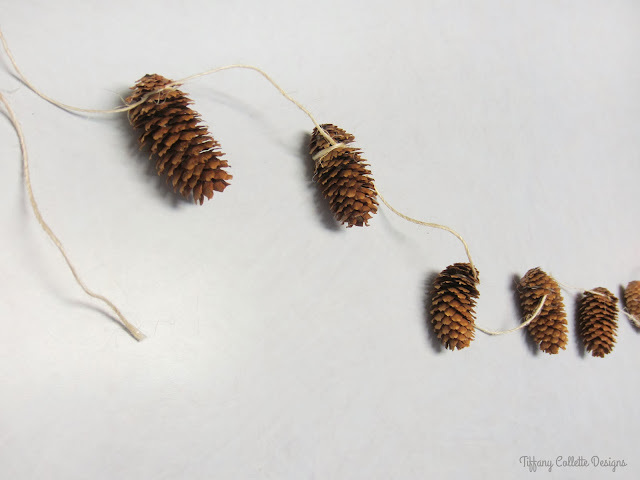 Stay tuned for other rustic Christmas decorations and free printables!